Newsflash! : The Caribbean + Archeology + The Loom + Mike Boggs @ Velvet Lounge Tonight! Y'all. It would appear that July is evidently the month where I'm not supposed to get much sleep, because tonight, yes this very evening, is yet another fine specimen of a show that I have no choice but to attend. This one has the added lustre of being sponsored by yours truly, and I promise you it's one of, if not the finest bill in all the DC megalopolisland on this night. You see, little sassypantses, tonight at Velvet Lounge you can see assembled in one place local stalwarts The Caribbean, rambunctious Portlanders Archeology, beautifully twangy The Loom, and a solo-ish set from Mike Boggs of local faves We Were Pirates. Seriously. All of these great bands in one place, conveniently providing you with the opportunity for one hell of a night of good music. 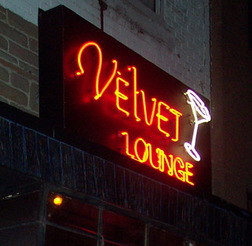 I know where I'll be tonight, and I hope to see your smiling face later tonight at the Velvet Lounge.